Part of the royal line, it was shocking that the Almedias were turned. Alfonso "Alfie" Almeida was the elder of the Corcovado conclave. While not confirmed, it seems likely the other lines in the Corcovado conclave were corrupted as well. Lucifer's brother and right-hand man, Leviathan is one of the mightiest Silverbloods. He was taken down by Gabrielle and imprisoned below Corcovado- the Gate of Vengeance (he was too strong to be slain). Lawrence was the keeping of this gate and accidentally released Leviathan into the world by committing the greatest atrocity- killing of one's own kind. 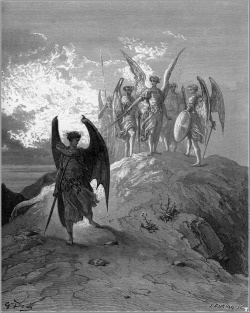 He rallied Lucifer's forces and searched for another gate to free his brother, stalking and kidnapping Schuyler Van Alen as a sacrifice to open it. Lightbringer. Morning Star. The former Prince of Heaven. The Dark Prince. A former archangel, he led the Blue Blood's revolt against God, condemning them all to walk to earth. He became powerful and discovered he could become even more so by drinking from his own kind- becoming the original Silver Blood. He spread his corruption until Michael send him to hell with his sword. Bliss Llewellyn is his daughter and she carried his soul... He used her, taking over her body, to carry out his will. He viewed Forsyth as a servant and the rest of the world as cattle, ants, etc. He was Emperor Caligula in Rome. She stabbed herself in the heart with an archangel's blade, expelling Lucifer from herself and sending him back to hell. Nan Cutler was a high-ranking warden, the second highest ranking (after only Lawrence). She had white hair with a raven stripe in the middle (blonde when she revealed her SB self and transformed). She was Harbonah, Angel of Annihilation. Mimi cut her in half at Corcovado; she appeared again over Jordan's dead body and Kingsley stabbed her through the heart, killing her.